Hope you had a chance to join us today for our #CarlsCrew Twitter party! We had a blast and some lucky tweeps won some tasty SUBWAY gift cards! Last week was all about getting back in gear! With fall in full swing (and television season right around the corner), it’s so easy to trade your running shoes for slippers. That’s why it’s so important to get a routine going. Now, on to this week’s challenge straight from Carl Savard. 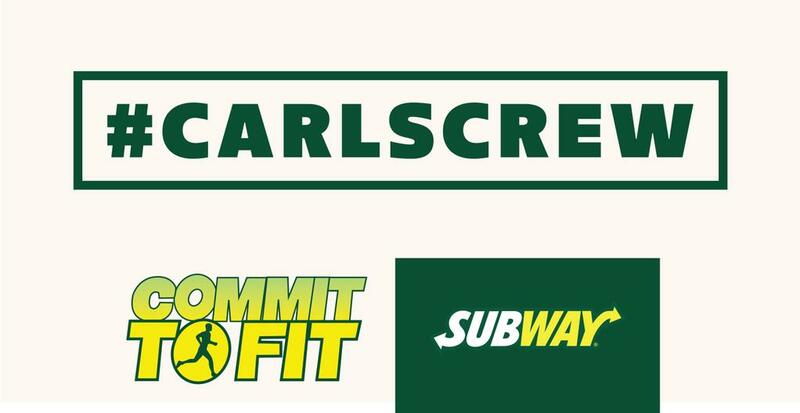 SUBWAY Canada’s Commit to Fit Ambassador. This week, your challenge is to try one new, vegetarian meal that incorporates several fresh veggies. You may have had a variety of vegetarian meals in the past, but the challenge is to try a new recipe, find a new source of protein or check out a new salad combination from SUBWAY® Restaurants. Fruits and vegetables are good for your overall health, but we often don’t get enough in our regular diet. This week, focus on adding fresh vegetables wherever you can and trying new vegetarian meal options to boost your overall vitamin and mineral intake. If you’re already a vegetarian, you’ve got a head start! Feel free to share your tips and recipes with the other #CarlsCrew members on Twitter, and check out Carl’s #MondayMotivation Vine video to see some of his favourite vegetarian ingredients.